The following is a post from StopBeck.com, reprinted here in its entirety with permission of the author. While Beck’s personal ventures and exposure have soared this year, his television ratings have declined sharply — perhaps another factor in the network’s impatience. His show now averages two million viewers, down from a high of 2.8 million in 2009, according to the Nielsen Ratings. And as of Sept. 21, 296 advertisers have asked that their commercials not be shown on Beck’s show (up from 26 in August 2009). 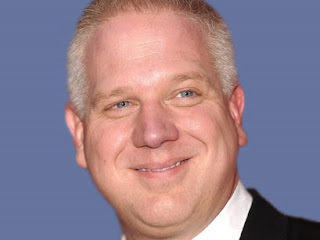 Some advertisers drop Glenn Beck, but refuse to acknowledge it publicly. Some advertisers pre-empt being the target of the advertiser boycott by simply excluding Glenn Beck from their ad agreements prior to airing their ads. Fox also has a difficult time selling ads on “The O’Reilly Factor” and “Fox and Friends” when Beck appears on those shows as a guest. For those unaware, the StopBeck effort has been targeting companies whose ads appear on Fox & Friends or The O’Reilly Factor when Glenn Beck is present. It’s reassuring to hear that our efforts are having an effect there as well. Great work all! See, your tweets and emails do matter. happiness if they had a "paltry" 2 Million listeners. You're peeing into the Pacific. David, 300+ advertisers have specifically asked to not have their ads run during Beck's show because he is such an assault upon common decency. Beck's 2 million viewers are about .6% of the American population, those Lincoln was generically referring to when he said that you could fool some of the people all of the time. I'm not peeing anywhere David; you're being manipulated by a gifted and savvy propagandist. Keep reading.